[Bound with] π1,A4 (π2 blank) B-Z4, Aa-Bb4,Cc6, a1, ß3,b-c4,d6. The first, Poor-law, the second Wills and the third is on Restitution of property. 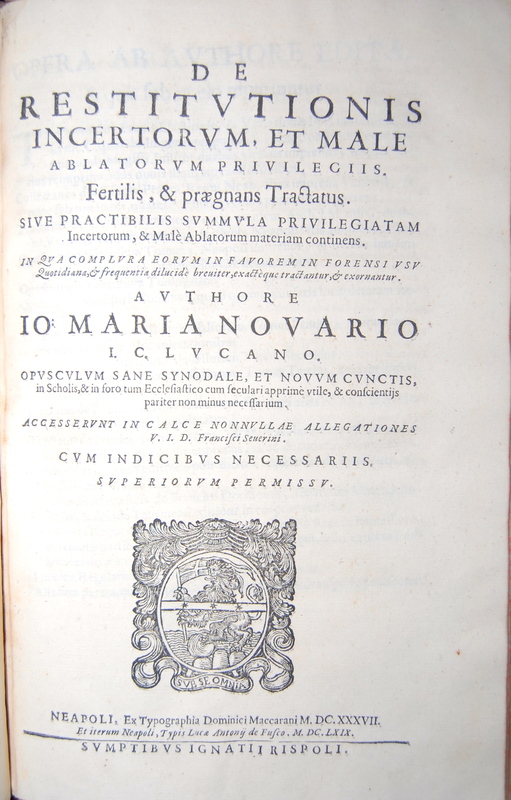 Novario 337G. 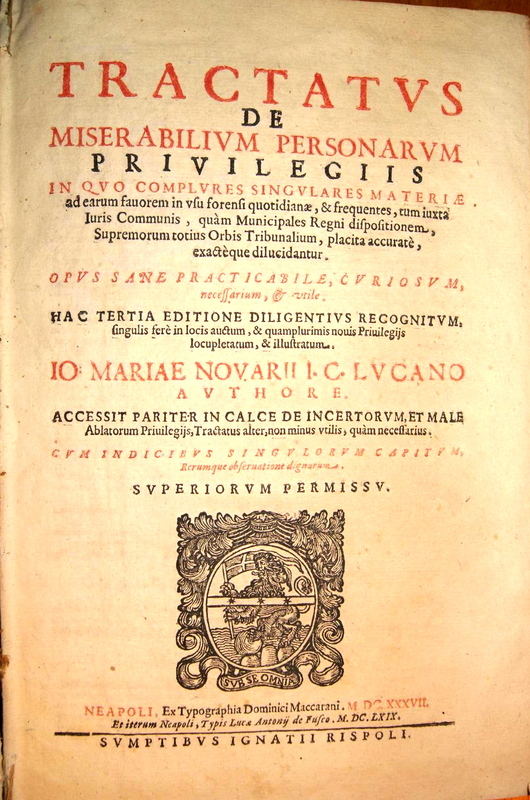 De Restitutionis incertorum et male ablatorum privilegiis. 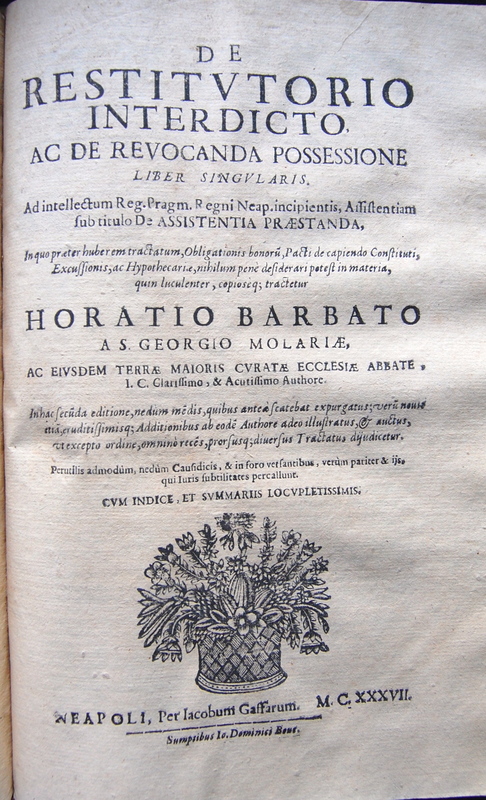 Barbato 337G De restitutorio interdicto ac de reuocanda possessione liber singularis .